Cloud computing has been evolving into different technology areas such as Infrastructure as a Service (IaaS), Platform as a Service (PaaS) and Software as a Service (SaaS). These technology areas are finding increasing adoption in the marketplace. The economic drivers for adoption of Cloud Technologies have been well understood in the market. Lower Investments: Cloud offerings typically have very low upfront costs. All SaaS product offerings are charged on a pay per use monthly subscription basis, which implies lower cost of ownership. No Infrastructure Costs: Cloud service offerings use cloud based infrastructures such as Amazon or Rackspace or a private cloud. Hence the customer does not have to bear the cost of the infrastructure setup with cloud services. Outsourced Technology Expertise: With cloud offerings, customers get a ready to use product that can be immediately consumed by the end user. Customer does not need to invest in an in-house IT team having that particular technology expertise. Simplified Management: With offerings in the cloud, the service provider deals with on-going management, maintenance and upgrades of technology. The customer can focus on his core business needs. So Why I’m telling this story to you? As infrastructure engineer I believe that this is going to change how we do things in Traditional vs Could Infrastructure. Let us take example of “Monitoring”. Here in this blog, I’m going to talk about monitoring of Infrastructure and applications in Traditional vs Cloud. Adoption of “Cloud computing” is going to change they way we do monitoring of our servers and applications. What does Monitoring-as-a-Service (MaaS) mean? Monitoring-as-a-service (MaaS) is one of many cloud delivery models under anything as a service (XaaS). It is a framework that facilitates the deployment of monitoring functionalities for various other services and applications within the cloud. The most common application for MaaS is online state monitoring, which continuously tracks certain states of applications, networks, systems, instances or any element that may be deployable within the cloud. MaaS offerings consist of multiple tools and applications meant to monitor a certain aspect of an application, server, system or any other IT component. There is a need for proper data collection, especially of the performance and real-time statistics of IT components, in order to make proper and informed management possible. IT infrastructure monitoring should an essential part of the IT Management Policy for an organization that is reliant on IT infrastructure. Proactive monitoring provides business continuity, quicker disaster recovery and easier capacity planning for all mission critical applications. Monitoring as a Service (MaaS) in the Cloud is a concept that combines the benefits of cloud computing technology and traditional on-premise IT infrastructure monitoring solutions. MaaS is a new delivery model that is suited for organizations looking to adopt a monitoring framework quickly with minimal investments. On premise monitoring is the traditional deployment model for monitoring private networks (internal IT infrastructure). This has been a very effective model over the years and works well for organization that can afford to implement this monitoring framework. On-premise monitoring involves purchase of software tools and investing in monitoring infrastructure and skilled IT personnel. Higher Levels of Security:Since the monitoring infrastructure is located in-house, customer gets better security where the monitoring tool does not need to cross firewall domains and connect over the open internet. Inherent Connectivity to Internal Assets:Monitoring infrastructure is already a part of the internal network (LAN and MPLS). Hence connecting to all the infrastructure assets is easy. Real Time Monitoring Data:On-premise monitoring provides real-time data where alerts are generated and shown to the customer immediately. The monitoring dashboard and email servers are all within the customer premise and hence there are no delays. Customization and Extensions:On-premise monitoring solutions can be heavily customized to meet the exact needs of a specific customer environment. This could be in the form of monitoring of custom applications or personalized dashboards and escalation matrices. The monitoring as a service (MaaS) offering provides a monitoring solution based on a monitoring infrastructure in the cloud. The MaaS vendor invests in the monitoring framework including the hardware, monitoring software and specialized IT personnel on behalf of the customer. The customer just needs to pay for the service he wants to use – on a subscription model similar to any SaaS product offering. Ready to Use Monitoring Tool Login: The vendor takes care of setting up the hardware infrastructure, monitoring tool, configuration and alert settings on behalf of the customer. The customer gets a ready to use login to the monitoring dashboard that is accessible using an internet browser. A mobile client is also available for the MaaS dashboard for IT administrators. Inherently Available 24x7x365: Since MaaS is deployed in the cloud, the monitoring dashboard itself is available 24x7x365 that can be accessed anytime from anywhere. There are no downtimes associated with the monitoring tool. Easy Integration with Business Processes: MaaS can generate alert based on specific business conditions. MaaS also supports multiple levels of escalation so that different user groups can get different levels of alerts. Cloud Aware and Cloud Ready: Since MaaS is already in the cloud, MaaS works well with other cloud based products such as PaaS and SaaS. MaaS can monitor Amazon and Rackspace cloud infrastructure. MaaS can monitor any private cloud deployments that a customer might have. Zero Maintenance Overheads: As a MaaS, customer, you don’t need to invest in a network operations centre. Neither do you need to invest an in-house team of qualified IT engineers to run the monitoring desk since the MaaS vendor is doing that on behalf of the customer. Price Sensitive Customers: For small and medium enterprises, MaaS provides cost effective pay per use pricing model. Customers don’t need to make any heavy investments neither in capital expenditures (capex) nor in operating expenditures (opex). Cloud Based SaaS and PaaS offering Add-On: MaaS provides a better technology fit for monitoring cloud based SaaS and PaaS offerings. MaaS can be provided as an add-on product offering along with SaaS and PaaS. Distributed Infrastructure Assets: In scenarios where the IT infrastructure assets are distributed across different locations and branch offices, MaaS is a good option since the monitoring infrastructure is centralized in the cloud and can easily monitor all distributed infrastructure assets. Mixture of Cloud and On-Premise Infrastructure: MaaS is already in the cloud. Hence in deployments where customer has a mix of on-premise and cloud infrastructure, MaaS provides good monitoring options for the hybrid environment. Multitenant Monitoring Requirements: For vendors offering multi-tenant functionality on their hosted services, MaaS provides a strong backend framework for monitoring the multi-tenant services and their availability. 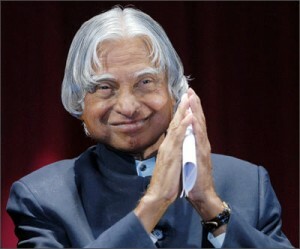 A. P. J. Abdul Kalam (Avul Pakir Jainulabdeen Abdul Kalam) was the 11th President of India from 2002 to 2007. He was great engineer,scienctist and Leader. I pay tribute to him and May his soul rest in peace. First we need to create “/vol/mycifs_share” netapp volume or you can use qtree as well. * NetApp SANtricity Storage OS – offers a powerful, easy-to-use interface for administering E-series NetApp Storage. • Dynamic Disk Pools (DDPs) – greatly simplify traditional storage management with no idle spares to manage or reconfigure when drives are added or fail, thus providing the ability to automatically configure, expand & scale storage. DDPs enable dynamic rebalancing of drive count changes. • Dynamic RAID-level migration changes the RAID level of a volume group on the existing drives without requiring the relocation of data. The software supports DDPs and RAID levels 0, 1, 3, 5, 6, and 10. • Dynamic volume expansion (DVE) – allows administrators to expand the capacity of an existing volume by using the free capacity on an existing volume group. DVE combines the new capacity with the original capacity for maximum performance and utilization. * NetApp OnCommand System Manager – OnCommand System Manager is the simple yet powerful browser-based management tools that enable administrators to easily configure and manage individual NetApp storage systems or clusters of systems. OnCommand Unified Manager monitors and alerts on the health of your NetApp storage running on clustered Data ONTAP. * WAFL and RAID-DP – NetApp introduced double-parity RAID, named RAID-DP, in 2003, starting with the Data ONTAP6. Since then it has become the default RAID group type used on NetApp storage. At the most basic layer, RAID-DP adds a second parity disk to each RAID group in an aggregate or traditional volume. A RAID group is an underlying construct that aggregates and traditional volumes are built upon. Each traditional NetApp RAID 4 group has some number of data disks and one parity disk, with aggregates and volumes containing one or more RAID 4 groups. Whereas the parity disk in a RAID 4 volume stores row parity across the disks in a RAID 4 group, the additional RAID-DP parity disk stores. diagonal parity across the disks in a RAID-DP group. Common FAS series NetApp storage Array/filers with NetApp Data ONTAP OS. The NetApp E5500 data storage system sets new standards for performance efficiency in application-driven environments. The E5500 is equally adept at supporting high-IOPS mixed workloads and databases, high-performance file systems, and bandwidth-intensive streaming applications. NetApp’s patent-pending Dynamic Disk Pools (DDP) simplifies traditional RAID management by distributing data parity information and spare capacity across a pool of drives. The modular flexibility of the E-Series—with three disk drive/controller shelves, multiple drive types, and a complete selection of interfaces—enables custom configurations optimized and able to scale as needed. The maximum storage density of the E5500 reduces rack space by up to 60%, power use by up to 40%, and cooling requirements by up to 39%. NetApp offers a full range of high-capacity, high-performance, and self-encrypting disk drives plus ultra-high-performance solid-state drives (SSDs). Disk shelf options let you optimize for capacity, performance, or versatility. NetApp Optical SAS interconnects simplify infrastructure while providing industry-leading performance. d) DS4243 – 4U Rack units, 24 Drives per enclosure, 6 Drives per rack unit,Optical SAS support, DS4243 disk shelf is no longer available in new system shipments. * NetApp FilerView Administration Tool – GUI tools was used to manage NetApp Filer. However If you plan to run Data ONTAP 8.1 or later software, you need to use OnCommand System Manager software. * NetApp FlexArray Virtualization Software – FlexArray enables you to connect your existing storage arrays to FAS8000 controllers using your Fibre Channel SAN fabric. Array LUNs are provisioned to the FAS8000 and collected into a storage pool from which NetApp volumes are created and shared out to SAN hosts and NAS clients. The new volumes, managed by the FAS8000. FlexArray has the flexibility to serve both SAN and NAS protocols at the same time without any complex add-on components, making the FAS8000 the ideal storage virtualization platform. * NetApp DataMotion – DataMotion data migration software lets you move data from one logical or physical storage device to another, without disrupting operations. You can keep your shared storage infrastructure running as you add capacity, refresh infrastructure, and balance performance. You can use DataMotion for vFiler and Volumes. * NetApp Deduplication and Compression – NetApp data compression is a new feature that compresses data as it is written to NetApp FAS and V-Series storage systems. Like deduplication, NetApp data compression works in both SAN and NAS environments. NetApp data deduplication combines the benefits of granularity, performance, and resiliency to give you a significant advantage in the race to meet ever-increasing storage capacity demands. * NetApp Flash Pool – is a NetApp Data ONTAP feature (introduced in version 8.1.1) that enables mixing regular HDDs with SSDs at an aggregate level. NetApp Flash Pool, an integral component of the NetApp Virtual Storage Tier, enables automated storage tiering. NetApp Flash Pool lets you mix solid state disk (SSD) technology and hard disk (HDD) technology at the aggregate level, to achieve SSD-like performance at HDD-like prices. * Snapmirror – data replication technology provides disaster recovery protection and simplifies the management of data replication. * MetroCluster – high-availability and disaster recovery software delivers continuous availability, transparent failover protection, and zero data loss. * SnapVault – software speeds and simplifies backup and data recovery, protecting data at the block level. * Open Systems SnapVault(OSSV) – software leverages block-level incremental backup technology to protect Windows, Linux/UNIX, SQL Server and VMware systems running on mixed storage. * SnapRestore – data recovery software uses stored Data ONTAP Snapshot copies to recover anything from a single file to multi-terabyte volumes, in seconds. F) NetApp StorageGRID – NetApp StorageGRID object storage software enables secure management of petabyte-scale distributed content repositories. Eliminating the typical constraints of data containers in blocks and files, the StorageGRID application offers secure, intelligent, and scalable data storage and management in a single global namespace. It optimizes metadata management and content placement through a global policy engine with built-in security. StorageGRID software automates the lifecycle of stored content by managing how files and objects are stored, placed, protected, and retrieved.